BRIAN KACZOR'S TARTAN 10 "ERICA"
Congratulations to Brian Kaczor and his team on the Tartan Ten ERICA for their spectacular 2018 season! Chicago’s Tartan Ten fleet has been the area’s most active and competitive fleet since the boat was introduced in 1979. They still get 20 boats out for regular fleet races and 30-plus boats for the big regattas. In 2018, Brian and his team on ERICA dominated the T-10 fleet winning the Season Overall Championship, the Buoy Championship, and the Distance Racing Championship! 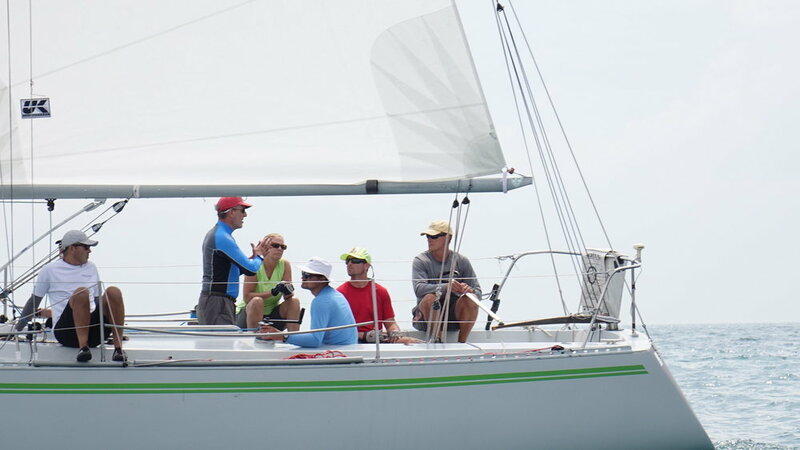 Many competitors have taken notice of their stellar performance and the great upwind speed they had when using their Titanium® jib from UK Sailmakers. It’s no secret that UK Sailmakers has developed fast sails for the class. UK Sailmakers Chicago has been involved with the T-10 class since Day 1. Loft owner Jim Considine was co-owner of one of the first boats built. UK Chicago has worked with other customers who have had dominating seasons like ERICA, including Lindy Thomas' GOBLIN, Mark Wurtzebach's SUSAN, and Rick Strilky's US. In fact, there have been seasons when UK Chicago’s T-10 customers won every race but three in the entire season. UK Chicago continues to develop fast sails for the fleet today. In 2018, ERICA was using a new UK AP jib, which had a minor tweak in the leech twist to produce that little upwind edge that made the difference. Other congratulations also go out to Mark and John Croll and their team on RETENTION. They were runner up to ERICA for the season championship. The Crolls were always in the mix at the top of the fleet.